Below find the most interesting places in Hungary, included many truly fascinating places. is a very popular city in Europe always packed with tourists in Summer,in Winter, Autumn, Spring alike. Rich in Natural, Cultural, Historical, and Architectural values. Famous for it’s Spas, the World Heritage Danube bank and Buda castle district, Europe’s biggest Parliament building, first underground railway in continental Europe, largest Synagogue, largest Spa in Europe, 90 museums, Roman era ruins, Green hill areas, beautiful islands. a, Siofok is a very popular place next to the Balaton with it’s “Golden” “Silver” and etc beaches. Perhaps the most popular place next to the Balaton, usual place for summer parties and concerts organised by Coca Cola beach. is a very unique place next to the Lake Balaton. Here at Tihany peninsula is the shortest distance between the two shores of the Lake (5,2 km). The forest covered peninsula is a protected area together with the “external” lake with unique wildlife and vulcanic structures. 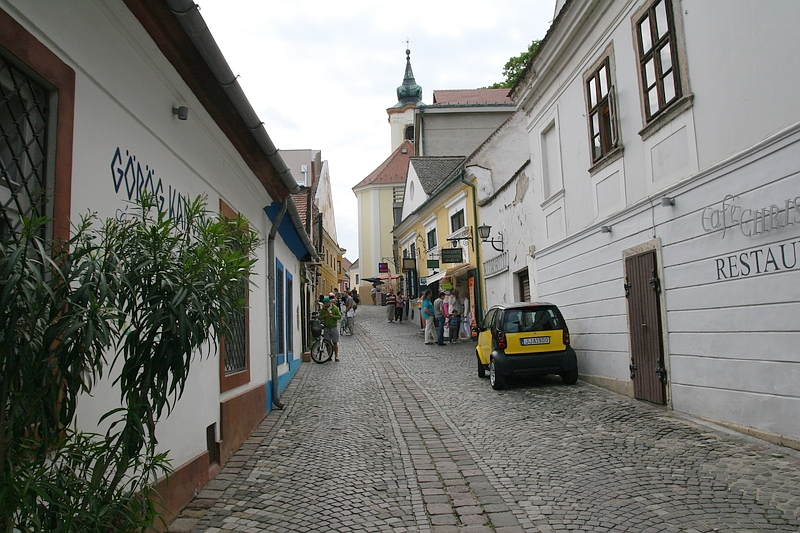 In Tihany an old Monastery (founded in 1055) can be found together with several very nice restaurants. One of the most beautiful place in Hungary. At the side of the peninsula the unique Sajkod beach can be found at the connection of the forest and the Lake Balaton. 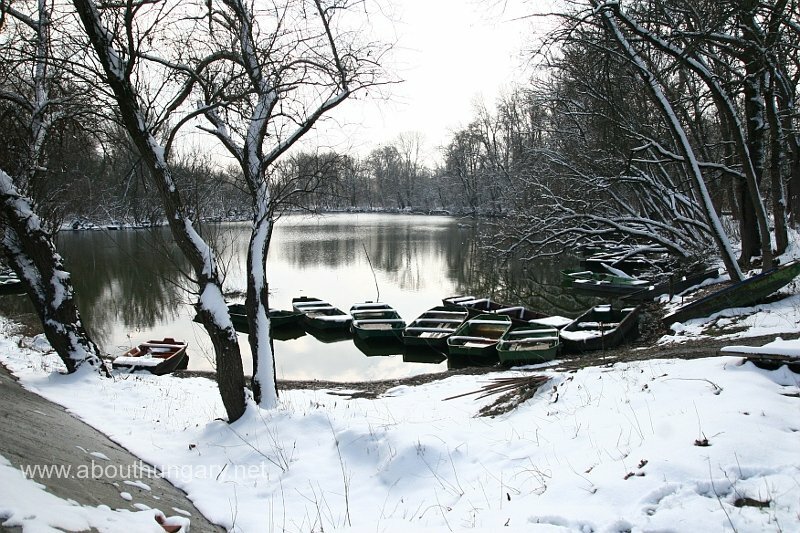 c, Heviz is one of the most popular city with its hot water lake, not far from Lake Balaton. sometimes called the “capital of the Balaton”. Situated at the West part of the Lake. Famous of the Festetics castle, the puppet museum and the Georgikon the first Agricultural Upper Level School in Hungary. e. Fonyod (Fonyód) can be found at the Southwest shore of the Lake Balaton. Fonyod has several beaches, a viewpoint on a small hill, huge green area next to the city (Nagy berek), a beautiful park with a view on the North shore basalt hills, regular boat access to Badacsony. Fonyod one of the finest places next to the Lake Balaton. is a very nice historical city in West Hungary, one of the most popular. Famous for several reasons: Beautiful surrounding, nice hills, and green areas, very nice restaurants, historical buildings, very nice atmosphere, easily can spend a week here. Lake Ferto is also very close. is one of the Hungary’s most interesting places. 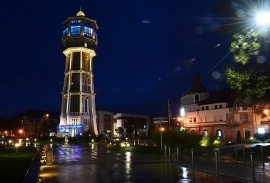 Located in the Southern Mecsek hills, the city has a nice “mediterranean atmosphere”. The Turkish has great impact on a city where several buildings remains from the Turkish era. Ancient Cristian Tombs also can be found here as part of Unesco World Heritage sites in Hungary. Pecs has a zoo and the viewpoint on a hill in nice surrounding. Around Pecs there are also some very beautiful places: Sikonda, Mare valley, lake Orfu (Orfű), Abaliget where a cave can be seen. is a very nice well balanced city in Northwest Hungary. A University, a nice Spa, 4 rivers can be found here. All Audi engines fabricated here for a Famous German Automobile Company. is a very nice, quiet Spa city with a Brick Castle at the South-East far corner of Hungary. Perfect place for forget the noisy workdays. is a pictoresque town near Budapest the “city of painters” at the banks of the Danube and at the foot of the Pilis hills. Nice restaurants, fair, paint exhibitions, village museum. Budapest suburb train goes until Szentendre. is one of the most beautiful place in Hungary. Situated in the Northern hills, a beautiful Hamori lake, two caves, a Castle hotel, fountains, natural beauty. is small place in the heart of Bakony hills. The whole area is a very nice hill/forest area with lots of wild animals, horse riding possibility, a beautiful Cuha Spring valley with a train. is an interesting place near Lillafured with a Cave spa unique even in Europe. 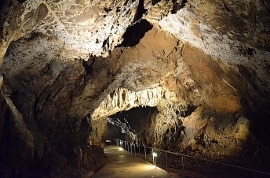 is also an interesting place in the Northern hills where one of Hungary’s longest cave system can be found. In the Mill building on Josva spring the World’s biggest book can be seen (4,18×3,77m, 1420kg). is a very interesting place in Eastern Hungary. A beautiful Tisza river backwater can be found here with an Open bath and very nice surrounding. Very popular and unique place among Hungarians. 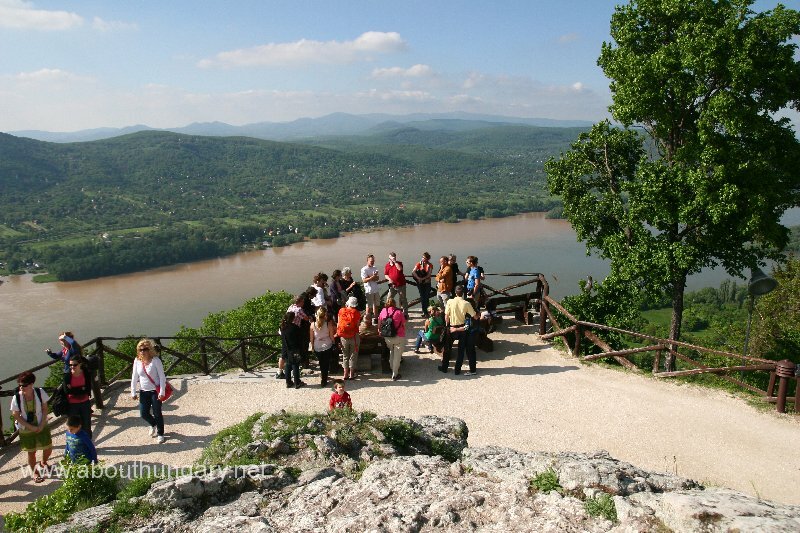 is very nice place in Danube bend located just 10-20 km from Visegrad. 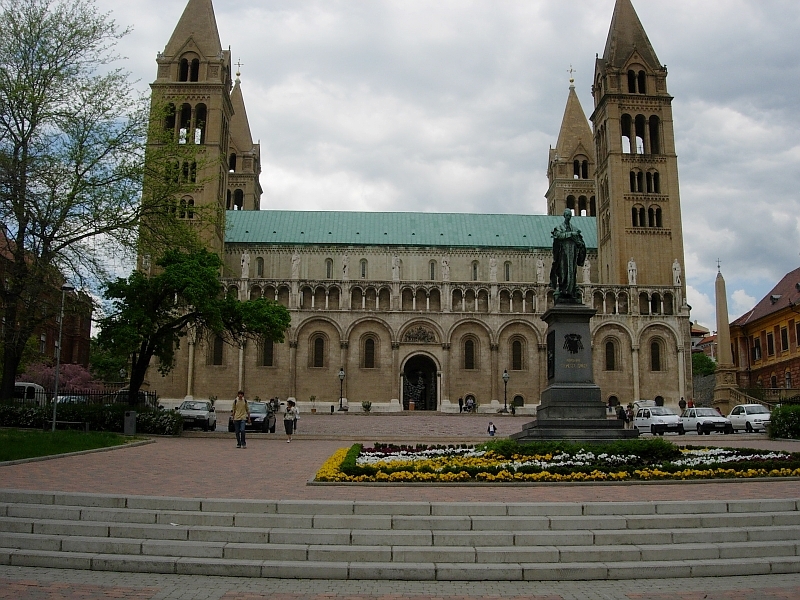 A 100m height Cathedral, nice Danube bank, historical surrounding, nice restaurants can be find here. 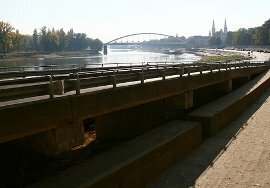 Maria Valeria bridge connects the city with Slovakia. 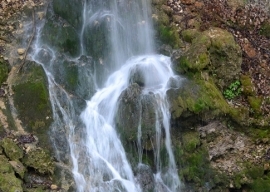 is a very nice place near Eger in the Bukk hills, with a beautiful fountain in the famous Szalajka valley, several caves, nice lakes, beautiful forests. is a very nice place at the shore of Lake Tisza. Lot’s of natural values can be seen here together with several other tourist attractions. is the location of the 1000 year old Monastery. The Monastery has built on a small hill. Pannonhalma is an Unesco World Heritage site in Hungary. 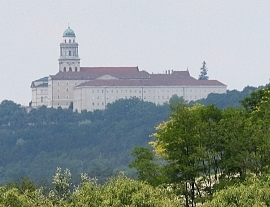 Pannonhalma gives home to a school, and there is an arboretum next to the Monastery. The natural values of the area are also significant. At the bottom of the hill a fishing lake can be found. can be found at the North part of the Danube bend. Very nice place between the picturesque Danube bend and the Northern hills. is beautiful place in the Northern hills. The settlement located at one of the highest place of the Matra hills covered with forest. is a unique place in Hungary. 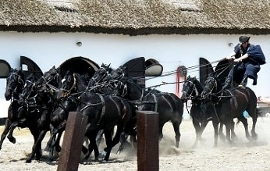 Also a World Heritage site the biggest “Puszta” or Plain of this kind in Europe. A famous 9 hole bridge and the unique Bird Hospital can be found at the centre of the Area also named Hortobagy. The Hortobagy National Park is the first Protected area in Hungary founded in 1973.
is Hungary’s second biggest river, the Hungarian river length is 597 km. At Kiskore a Lake Tisza has been formed as a 127 km2 lake, with huge natural values, and rich wildlife. is the biggest forest in Central Europe next to the Danube River. 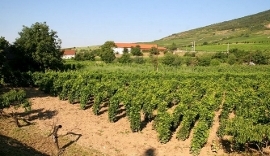 Situated at the South Part of Hungary and continuing in Croatia. is a nice historic city of West Hungary. In Komarom a complex fortress system has been built. Komarom was a scene of the Hungarian revolution in 1848 as well. Komarom has a city in the Slovakia and the Hungarian side of the Danube as well with the same name (in different languages). A spa also can be found in the city. is a beautiful green area with lovely villages at the bottom of the Alps next to Austrian and Slovanian border. is the city of waters, with several lakes including the famous ‘old lake’, which is a place of thousands of migrating birds every year. At the bank of the Lake a Castle can be found. is the highest point of Hungary with its 1014m height above see level, located in the Matra hills, where sometimes in winter very tame birds and Moufflons can be find. is a beautiful picturesque place at the Matra hills, with its pine trees. is an interesting place next to Lake Balaton with its fortress, see below. A nice castle with a beautiful garden park also can be find here, maintained by artists. is a second biggest city of Hungary with a nice mediterranean style spa, zoo, universities, the famous “Big forest”, lots of Museums and interesting buildings, usual place for the annual flower festival. is a ‘small Lake Balaton’ more near to Budapest. A Lake’s South shore is a tradition beach area. is located near Pecs not far from Mecsek hills. A beautiful, picturesque lake can be found here. is one of the bigger city next to Balaton a usual home for Anna ball. is pictureque place with a fortress next to Austrian border. is a famous spa city next to Austrian border. is famous transdanubian spa city in the South. is famous spa city near to Hortobagy at the East part of the country. is an interesting place in the Northern hills next to a reservoir in beautiful surrounding. is a historic town at the Eastern corner of Hungary near Zemplen hills, a unique part of Hungary. is a beautiful place at the Matra hills with a beautiful hotel. is a nice place at the bottom of Matra hills, start of many tourist routes in the Matra hills with a unique wildlife. is an interesting place at the Northern hills with a unique lake. is an interesting village in the bottom of Bukk hills. is the ‘capital of Bakony hills’ with a unique Arboretum located on the Cuha spring. 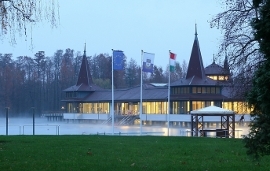 is a famous spa city in the South part of Hungary. is a unique Unesco World Heritage village in North Hungary. 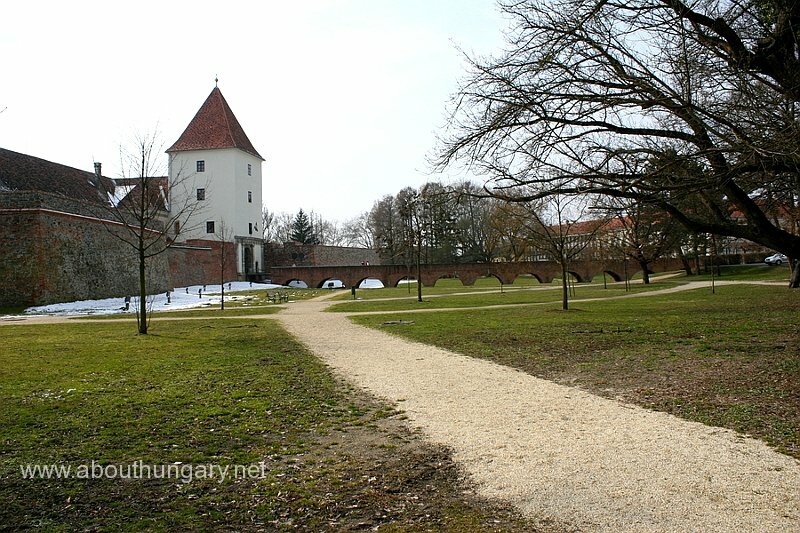 is an interesting city in East Hungary with a unique arboretum, a spa, and beautiful Koros river backwater. is an interesting place next to Bakony hills, usual place for hikers, a Fortress, lake, Park with spa and wooden houses can be found here. is an interesting place next to Lake Ferto with an Esterhazy castle built in Baroque style. is a very unique place at South Hungary. Famous for it’s historical Fortress and a newly built Spa. is an interesting city in the South with a newly built Spa, Drava river and lots of Green forest at the surrounding areas. Mainly for nature lovers. is city of Queens is a very nice city not far from Lake Balaton. Holloko is a small village in North Hungary. It is a Unesco World Heritage site, the only one this kind (old authentique village). 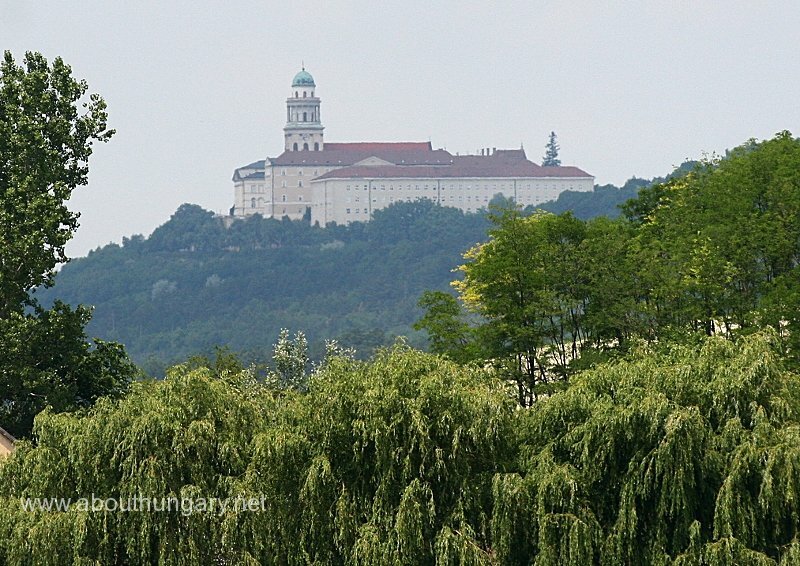 is an interesting town near Budapest, where former governor Elisabeth’s castle can be found. is a very nice place in the Nothers hills with a unique Castle. is is also a very beautiful place in the Northern hills not far from Eger. is a nice village in the Borzsony hills, rich in natural values and beautiful landscapes. is an interesting city in the South with a Spa specialized for Families with kids, the surrounding area has several protected area with water birds and buffalos. is a city in the Great Plain with a popular Spa, and a very nice restaurant. is an interesting “fishing city” at South next to the Danube. Here they make their special fish soup. Recommended for nature fans, fishermen, people like water sports. is a very interesting place next to Lake Tisza. Mainly in summer. 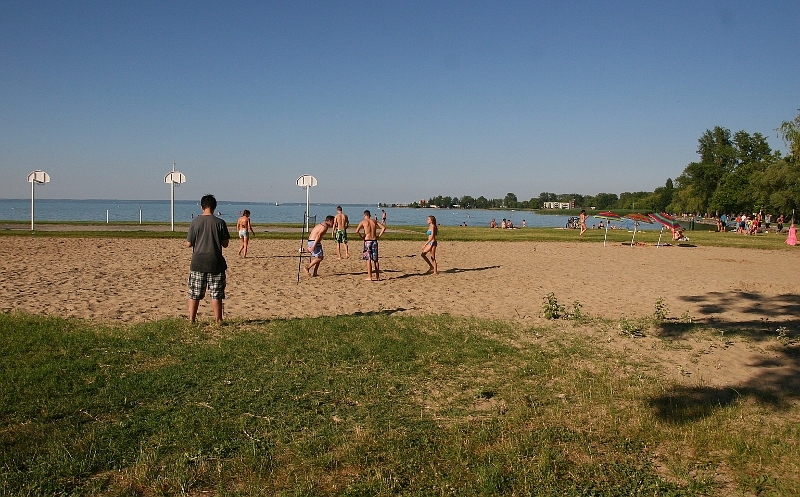 is also a popular beach next to Lake Velencei. In Agard a Spa and a camping also can be found. is a city next to Lake Velencei between Agard and Velence. is one of the most popular beach next to Lake Balaton. is a very nice place at the North shore of Lake Balaton famous for it’s wines, basalth hills, and nearby botanical garden. in Kiskunsag area is also very popular target in summer. is a very popular beach in South shore of Lake Balaton. is a very popular Spa city in Hungary. is also a Spa city in the Great Plain. is also an interesting place in the Great plain also called Silverado. Usual meeting place for horsemen. 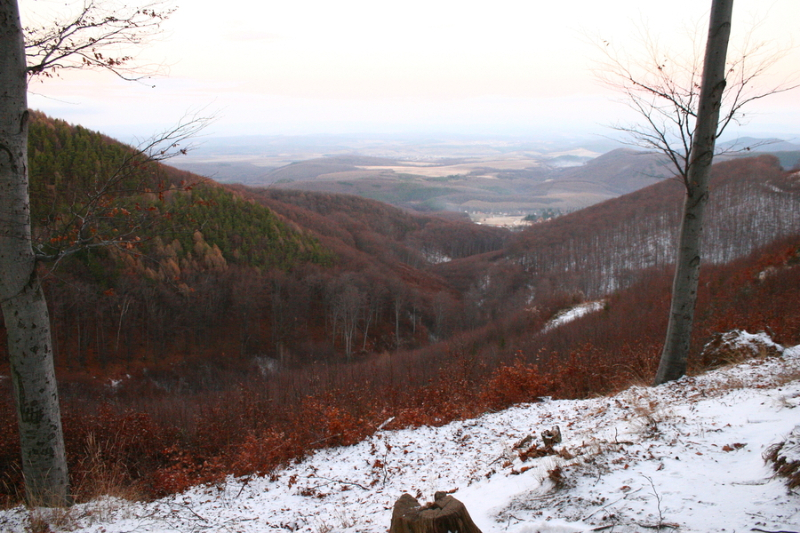 Satoraljaujhely is located in the far Northeast corner of Hungary with lots of beautiful forests. In Satoraljaujhely there is a new long Chairlift accross the forests. is a very nice city at the Northeast part of the country with a castle next to the picturesque Bodrog river. is a very nice place next to Lake Balaton with a beautiful view on the surrounding hills and areas. is a very nice place next to Lake Balaton usual host for the annual Harley Davidson festival. is a very nice quiet Spa place next to Hortobagy area with rich wildlife. is a very nice village in Orseg area next to Austrian and Slovenian border. 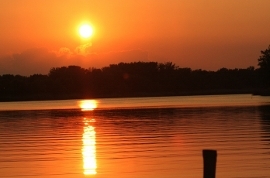 is a very popular tourist target next to Lake Tisza with lots of natural values. is a very interesting place in the Zemplen hills area with a Castle hotel. is also a very interesting town next to Soroksari Danube branch South from Budapest. Oriszentpeter is the center of the popular Orseg area. The Zala river which is a main water supply of Lake Balaton is crossing the settlement. Oriszentpeter is small settlement with lots of natural and traditional values in the West part of Hungary. Friendly people, old lifestyle, natural beauty, healthy foods. There is a unique old Temple here as well. Szalafo is where the River Zala is originated, the settlement is just next to Oriszentpeter. This is also a very popular place in Orseg area. There are some very nice natural farms here where the visitors can join to the everyday works. The national park also has a visitor area with old houses where they show and explain how the people lived in this area. 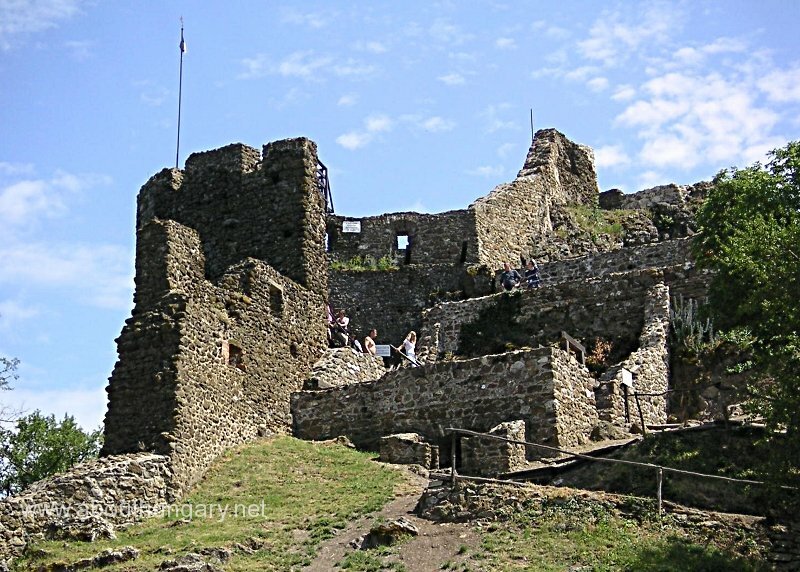 In Fuzer there is a Castle on a steep rock in which they hided the Hungarian Crown in the 16th century. Fenyofo is the heart of the Bakony forest area. Only 100 people live in the village, but many natural values and the highest peaks (709m is the highest) of Bakony hills can be found around. Vac is a beautiful city in the Danube bend. Unlike other popular cities in this region (Visegrad, Esztergom, Szentendre) it is located in the left side of the River Danube. Bakonybel is located in the Beautiful Bakony hills and forest area. Bakonybel is located in the center of the beautiful green area, surrounded with fully forested hills. Kekesteto is the highest point in Hungary with it’s 1015m height in the Matra hills. Egerszalok is famous about the salt hill and the Spa hotel. The surrounding is very nice as well, natural forests belongs to the national park. is spa village 6km from Eger. A popular place, Egerszalok is also very close. Currently they opened a new Cave spa area. This settlement in the far East corner of Hungary famous about the boat shaped headstones in the old cementery. There are different ideas why these woods has this shape, some think they pass the river of life and death on a boat, or people in this place use boats o lot. Turistvandi is famous about natural values and the old watermill in the small settlement in the far East corner of Hungary. Bogacs is famous spa settlement in North Hungary. Berekfurdo is located in the Great Plain or in the “Puszta” in East Hungary under the Hortobagy area. There is a big spa and two lakes with interesting wildlife, and very quiet and peaceful surrounding.